A newly developed spinal cord implant has successfully provided paraplegic patients with the ability to walk again without any other support. A breakthrough spinal cord implant is allegedly helping paraplegic patients walk again. Researchers from the Lausanne University Hospital in Switzerland have developed a revolutionary spinal cord implant that activates the leg muscles of three paralyzed patients, allowing them to walk again. For years, medical researchers have been working hard to create a device that would help establish a connection between the brain and paralyzed limbs by sending electric signals through the spine. Many have attempted to put into practice the theory, but the farthest scientists have come to achieving such a feat was by making rats with severe spinal cord injury walk again. Now, researchers from the Lausanne University Hospital claim they have managed to make humans walk again using the same method. “Our findings are based on a deep understanding of the underlying mechanisms which we gained through years of research on animal models. We were thus able to mimic in real time how the brain naturally activates the spinal cord,” Grégoire Courtine, a neuroscientist from the Ecole Polytechnique Fédérale de Lausanne and lead researcher of the study, said. In a paper published in the journal Nature, the researchers detailed how their device works. According to the report, the spinal cord implant they developed does not just provide a path for the electrical signals from the brain to reach the limbs; it also makes use of targeted stimulation. Within one week of the experimental treatment, the three paralyzed patients were able to walk using body weight support, giving the team a positive sign that they were on the right track. The real challenge was with the patients learning how to coordinate the targeted electrical stimulation with their brains’ intention to walk again. It didn’t take them long enough to figure it out though, the researchers reported. The patients were reportedly able to walk hands-free for over one kilometer during their rehabilitation sessions. They also didn’t report any leg-muscle fatigue which led to consistent stepping quality. Courtine and Bloch are now planning to use their findings to develop a customized neurological chip that would make their rehabilitation method an accessible treatment in hospitals and other medical facilities. 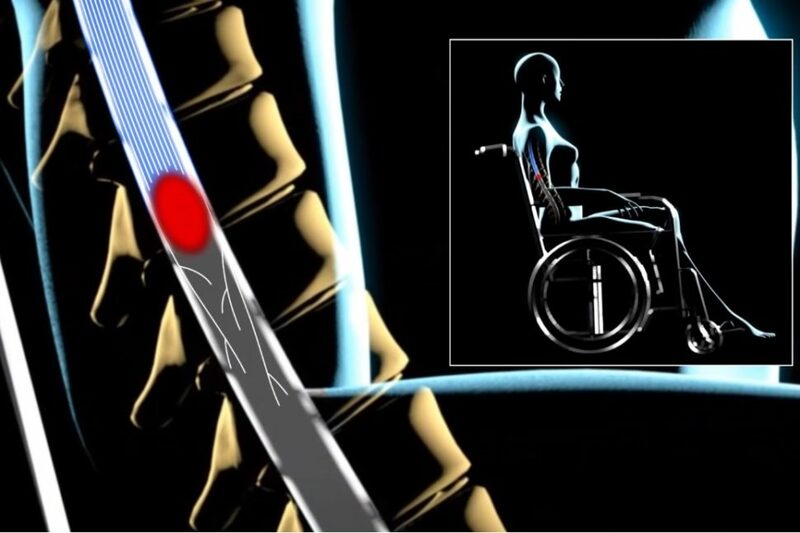 Do you believe that this new spinal cord implant has more potential than current spinal cord stimulators? Why or why not?